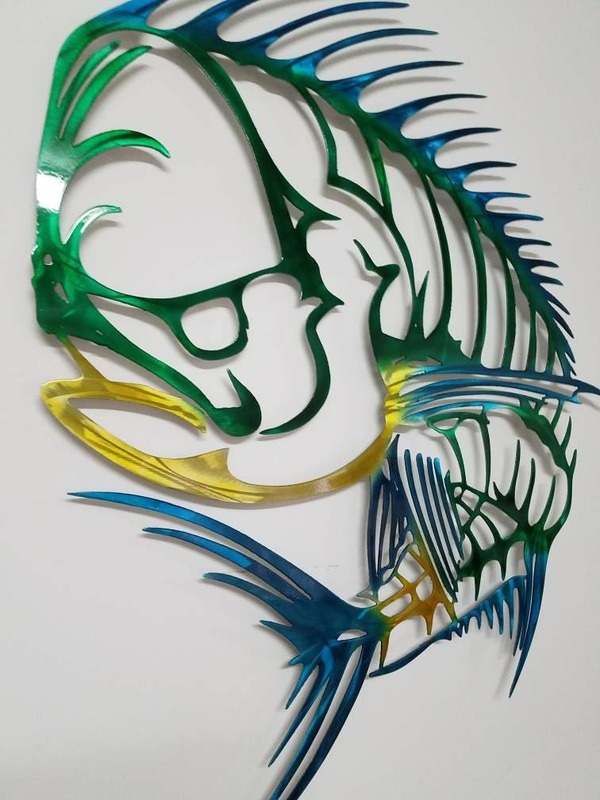 Measuring at approximately 24" wide and 35" tall, this mahi mahi metal wall art is plasma cut then hand ground to give definition and depth. 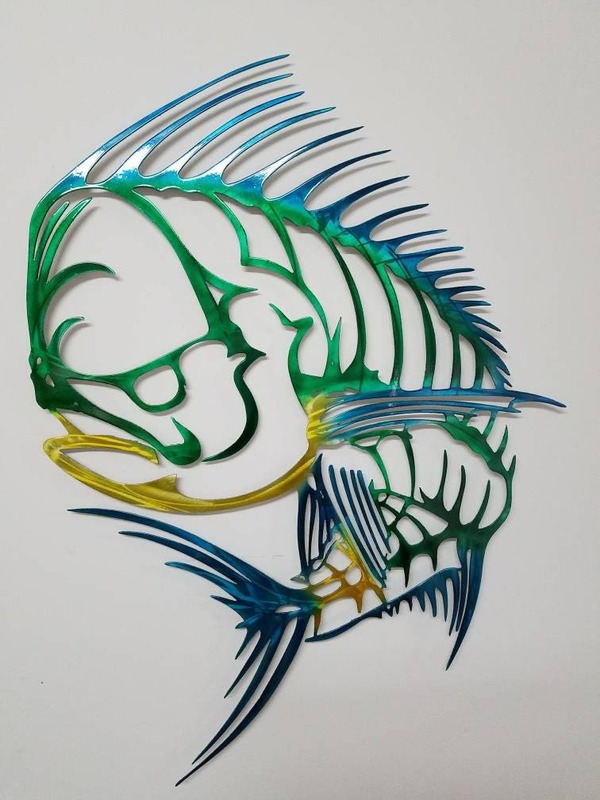 Once ground, our mahi skeleton wall decor is then airbrushed by hand and finished with a clear powder coat. For those who may live directly on the coast, aluminum can "pit" over time, leaving a chalky appearance to your aluminum. 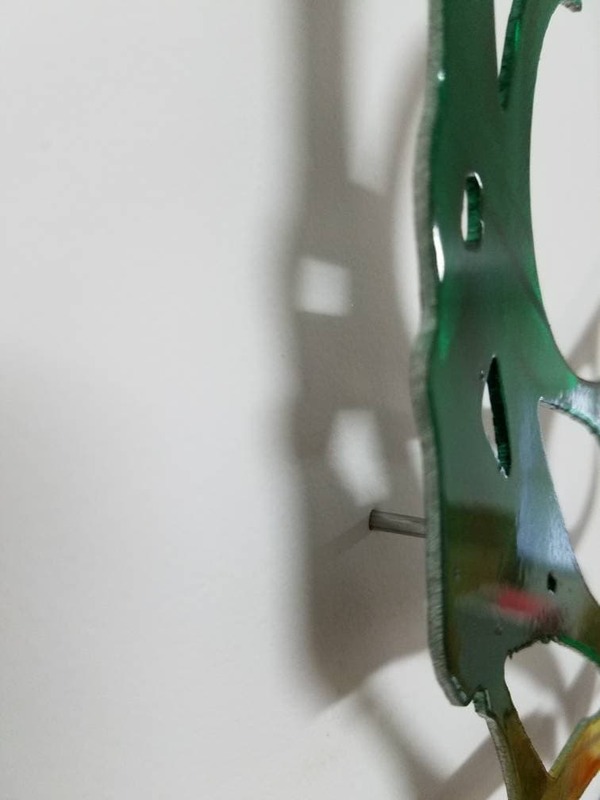 Powder coating not only seals the airbrushing, but it really brings out the definition created from grinding. 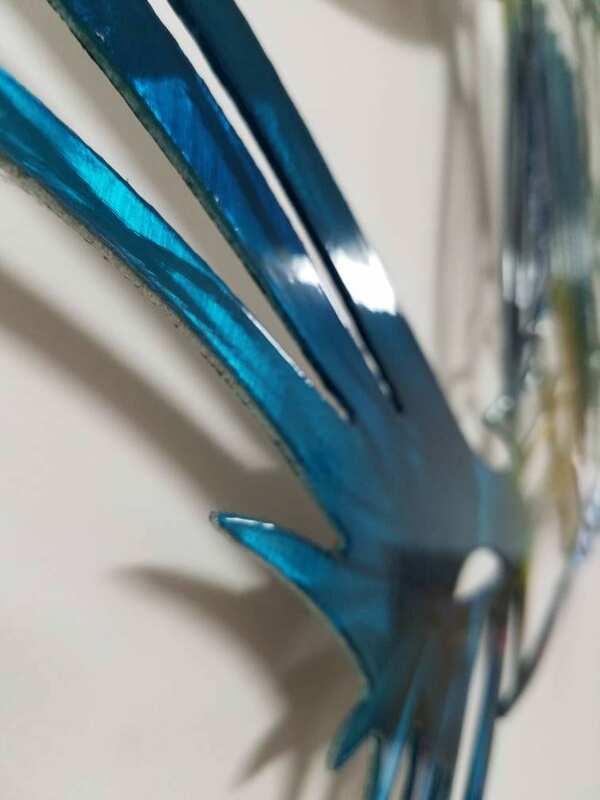 Many metal art pieces are produced from steel which will eventually rust over time. 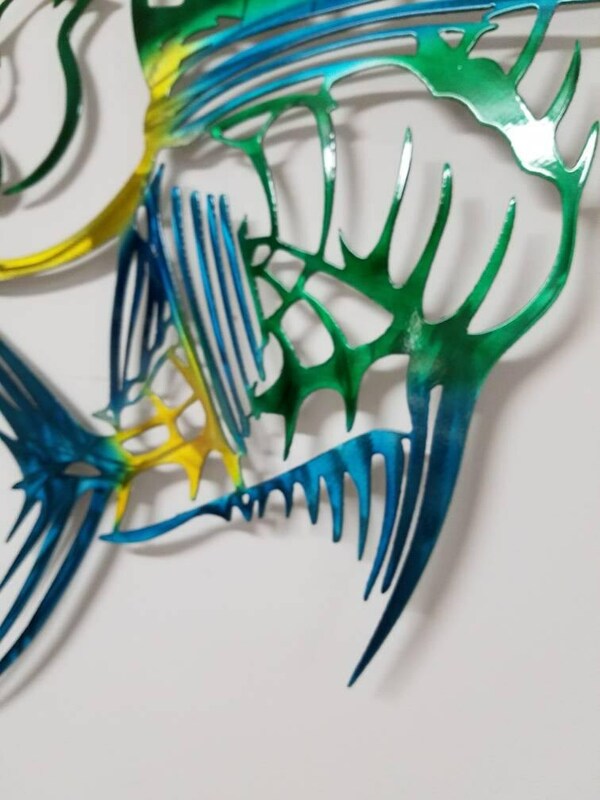 Aluminum will not rust, is much lighter than steel putting less stress on your walls, and with the added protection from powder coating, this Mahi metal ocean wall art is sure to wow your guests for years to come.